The UMA ETC/SIA is an international consortium contracted to support the European Environment Agency (EEA) in developing seamless European wide spatial reference data. ETC/SIA's main working area is the analysis of land use and land cover. This includes monitoring temporal changes of land use and land cover in addition to analyzing the environmental consequences. The consortium is leaded by the Universidad de Málaga since January 2011. UMA ETC/SIA experience is based on a good partnership of high level experts dealing with database management, quality assurance and environmental assessments. Among other activities, the ETC/SIA provide expertise in regional assessments for rural, mountainous, urban or coastal areas and in impact analysis of structural and cohesion funds, CAP expenditures or interdependencies between biofuel production and Land use changes. Substantial parts of UMA ETC/SIA activities are dedicated to collect, manage, analyze and display land use related spatial data. The ETC/SIA is involved in developing open source solutions to follow the Inspire directive and the European policy on SEIS fitting into a network of distributed resources and simplifying the data access for the public. The ETC is embedded and part of the European Environmental Information and Observation Network (Eionet) and is cooperating with other European institutions like the Joint Research Centre (JRC), Eurostat (Eurostat), the different DGs of the European Commission and ESPON (European Spatial Planning Observation network). Representatives of universities, national authorities, governmental institutions and private companies cooperate closely to provide most updated spatial information and analytical results to the European public network. Furthermore, UMA ETC/SIA are linked to regional conventions as well as international NGOs who support us in testing and implementing generated data in their specific data systems. Our partners belong to the international scientific community involved in national and international research projects. 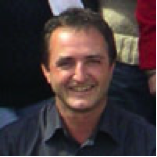 Support in developing the Shared European Integrated Spatial Information Service through integration of new basic reference data into TERRIS (e.g. data set on urban morphological zones to analyze spatial changes in and around urban areas and their interaction with the surrounding land – access to recreational areas). Developing the method on “Land and Ecosystem Accounting” (LEAC) together with the EEA – a method to measure land cover changes based on different inventories of the CLC (or other) database. Through LEAC methodology, a number of indicators have been calculated (e.g. fragmentation of land and ecosystems, land take by urban sprawl and transport networks, pressures on protected areas, etc.). 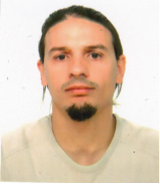 Mr. Emanuele Mancosu He holds a University degree in Natural Sciences from the University of Cagliari with a graduation thesis in thematic cartography (2004) and a Master degree in “Technology of System Information” from LIGIT - Autonomous University of Barcelona (2007-2009).